Unfortunately, Noa’s not the only driven female in SV2’s lineup, and when fate puts Kanuka Clancy in charge of Noa, not only do fireworks ensue, but Captain Goto decides to throw a little alcohol on the fire! 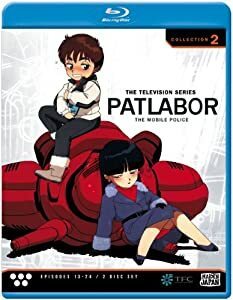 But that’s far from the most dangerous situation facing the thin steel line, and between escorting visiting royalty and pop singers at one extreme, and facing off with mysterious phantom robots on the other, there’s no rest for the weary, overworked squad. And when someone starts sending threatening messages to Goto and potentially deadly “accidents” start occurring, it’s up to the whole force to band together and find the culprit before someone on the Ingram team has their plug pulled permanently! 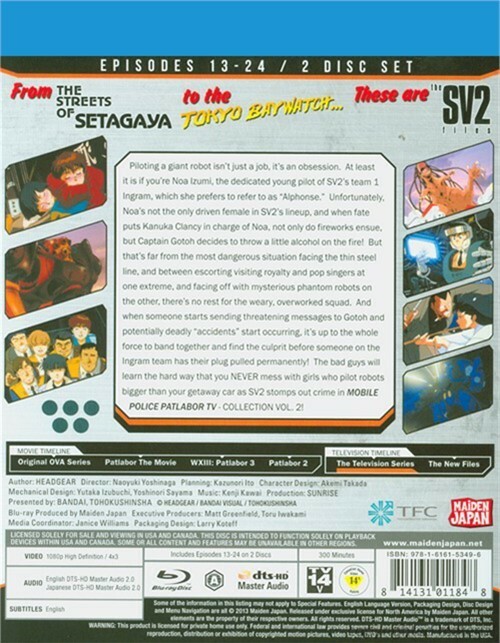 The bad guys will learn the hard way that you never mess with girls who pilot robots bigger than your getaway car as SV2 stomps out crime in PatLabor TV: Collection 2!